[KOSSIP] T-ARA Eunjung to be New Love Rival in Love on a Rooftop! According to Herald Corp News, our favorite Candy has some bad news coming up. When we thought that she had finally deserved some peace, success and happiness after financially providing for her adopted family and protecting her biological brother…and falling in love with a man… It turns out that it’s not bad enough that a college friend’s obsession is providing peripheral tension. Nope! The writer has decided that Seung-Hye’s and Do-Jin’s love is too strong for the mere likes of Jang Se-Ryung. Rather, T-ARA’s Eunjung’s management company has announced that Eunjung will be appearing in the show as Min Chae-Won, another classmate from college and a doctor at the [Kang-Sol] Hospital who has been in a one-sided crush over Do-Jin for a while. Eunjung’s character will be a confident and bright doctor to rival Seung-Hye’s own candy-ness! 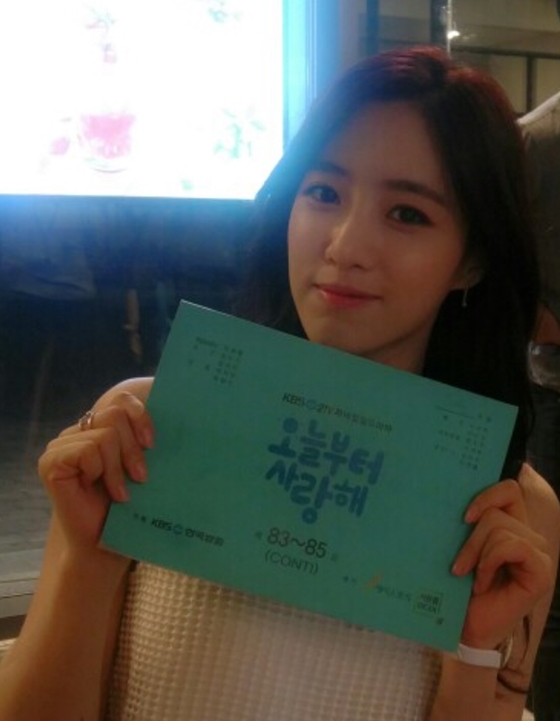 According to the picture, it looks like Eunjung will definitely show up in an episode between 83 to 85. So, will we see Do-Jin waver at the entrance of this new rival Min Chae-Won? Previous Article← [NEWSFLASH] Love on a Rooftop Postponed for SOCCER T_T!